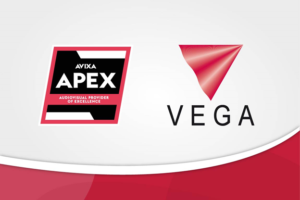 Vega Global, the leading solution provider of superior AV technologies to many multinational companies, has once again been recognized by AVIXA (Formerly known as InfoComm) as AV Provider of Excellence Company for four consecutive years. This designation is a prestigious credential earned by integration companies and AV design consulting firms that set high standards for employee training and certification to meet their clients’ needs by delivering exceptional solutions. 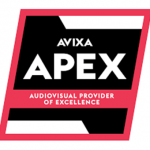 APEx companies must demonstrate a high level of service quality and technical capability by building a team of Certified Technology Specialists™ (CTS), adhering to AVIXA standards, and proving ongoing customer satisfaction. Vega Global’s client-centric approach with a local focus and multi-cultural understanding is a guiding principle across their global operation. Vega sets itself apart in today’s highly competitive market by providing a positive client experience from planning through delivery via a consistent and coherent client engagement process. For over 30 years, the company proactively introduces the latest technologies to the market strengthening communication, shortening the geographic distance, and eliminating communication barriers to increase their clients’ competitive edge and achieve their business goals, these capabilities are further validated with AVIXA’s recognitions. 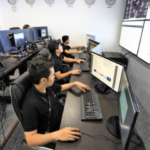 Vega Global is the leading IT services and AV solution provider dedicated to delivering cutting edge technology solutions in Telepresence, Video Collaboration, Audio-visual and Network Communications. We add value to organizations through a synergy of skills and our in-depth knowledge of AV system innovation that strengthens communication and bridge the geographical distance to achieve productivity and efficiency. 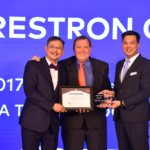 Founded in 1986 with headquarters in Hong Kong, we have a comprehensive network of more than 600 skilled staff working across 22 offices in APAC, USA, UK and Europe. Our 30 years of experience and global presence has been the preferred choice of enterprises and many Fortune 500 companies to fulfill their AV objectives.